Video | Tricorne Audio, Inc. The use of video has continually evolved over the past decade. 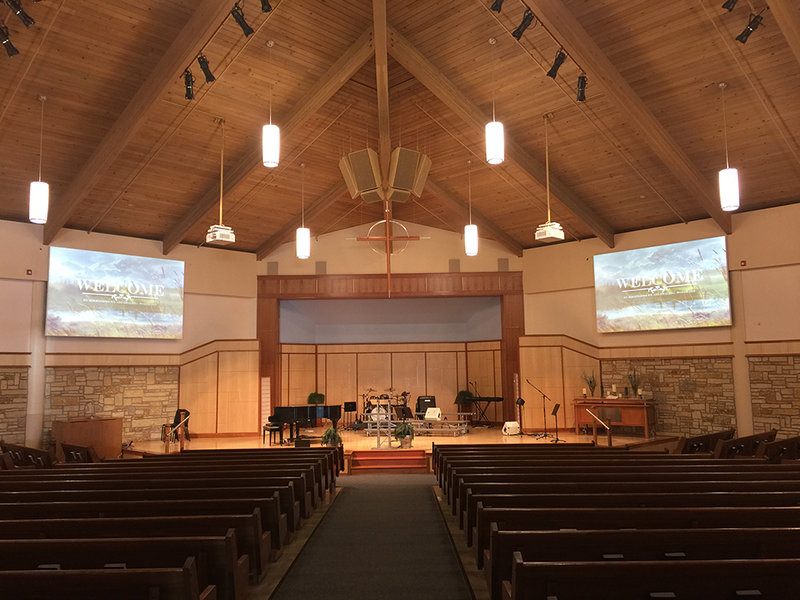 From projection in worship to video conference calling and the fast growing digital signage market, video has become an integral part of effective communications. Tricorne Audio, Inc. continues its dedication to being a leader in the video market by offering innovative solutions and competitive pricing. From video walls to projection, cable distribution and video recording systems, we have the training, experience and products to create a solution to fit your budget. We have partnered with manufacturers such as Draper, Extron, Boxlight and Liberty Wire and Cable to ensure you receive the best product and the right technology for your needs. Please browse our website or contact us for more information and ideas for your next video project.